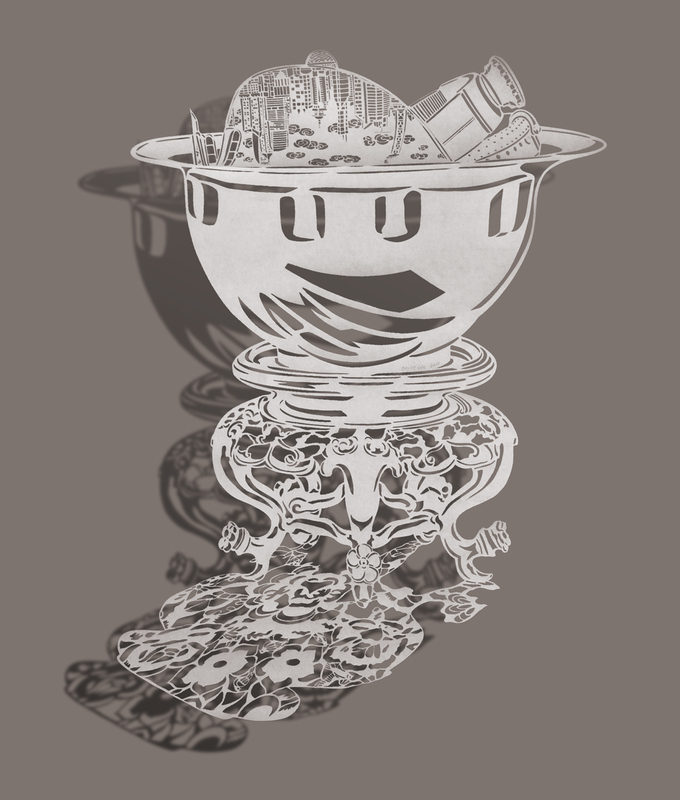 Created “Bovey Lee Studio” as a Facebook page just a week ago. The page features what’s happening inside my studio. See photos of me working in the studio and remember to click “like this” on the left hand side menu in Facebook (circled in red below). I appreciate your support! I read a story in Huffington Post couple days ago about an exciting and unusual rediscovery at University of Michigan at Ann Arbor of Chinese paper cutouts depicting scenes of the Mao era. The cut paper works were collected in Hong Kong in early 1970s and created at Foshan Folk Art Research Institute, where I conducted a research in 2006. When I was there, I asked the head archivist if they had any Mao era paper cutouts and she said they were no longer available. 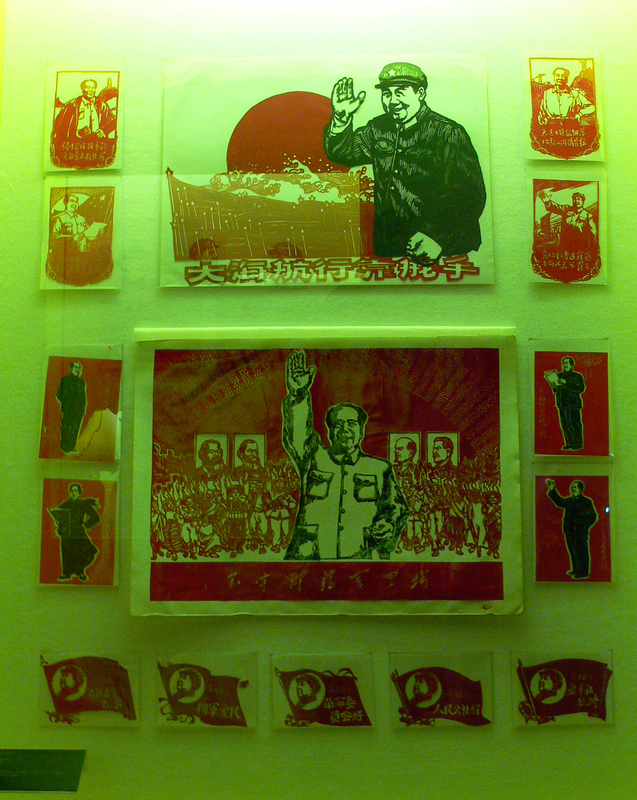 With a bit of disappointment, I later went to Switzerland for another research, where at Zug-Berg Art Museum there was an exhibition of Chinese paper cutting and I saw a few examples of the Mao era cutouts. My research last October at The Central Academy of Fine Arts and Beijing yielded no result in finding these cutouts either. While Mao’s image is still one of the most iconic and is so widely depicted in contemporary Chinese “Pop” art. It has more or less become an exotic export of sort and the propaganda artworks are hard to find in China today. Not everyday this kind of discovery in America occurs and it is wonderful for traditional Chinese paper cutouts to get some press within the United States. I plan to travel to University of Michigan to see the collection of fifteen works in the flesh.